We recruit the absolute best virtual assistants. Our team of recruiters working in the Philippines finds talented, college-educated virtual paralegals and virtual administrative support workers, and we completely manage everyone we bring on the team to make your life easy. That includes everything from telephony to sales support. If you’re ever not satisfied, we’ll find you a new agent for free. That’s our 100% satisfaction guarantee. With outsourced services, it’s easy to find cheap, but you don’t know what you’re getting. 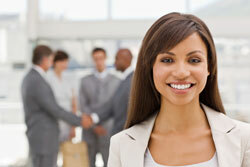 We got into this business to find low-cost sales support agents for our sales consultancy. Having friends in the Philippines, and after a few years of mistakes, we developed a methodology that works. With us, you’re getting great savings and an inexpensive resource, but also top-quality and a total guarantee. We’ve included the below idea to give you an idea of the kinds of tasks our agents routinely perform. We can also recruit a specialist or train someone specifically for your needs. Do I Need Virtual Support? Using our specialists, clients average 70% savings compared the cost of a similar US-based resource. Our fully-managed virtual support solution includes end-to-end technology, telephony, management reporting, total transparency, recruitment and deployment of top talent, and ongoing coaching, training, and day-to-day management. Our specialists are recruited and assigned permanently to our clients’ teams. We don’t interchange people. The people that are recruited for you are dedicated to you full time and become an integral part of your organization. Many of our specialists have received sales and other types of rewards for their dedication, ability to team, and provide results. Call us to learn more about our Virtual Support services!